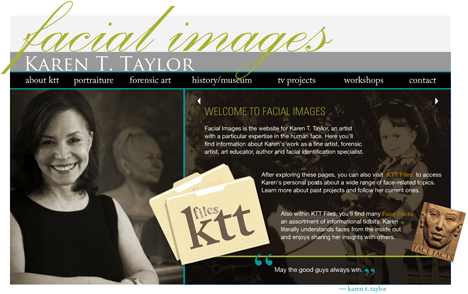 The entire process of creating a sculpted portrait of Barbara Benton was a joy for me. She is a lovely woman, inside and out. 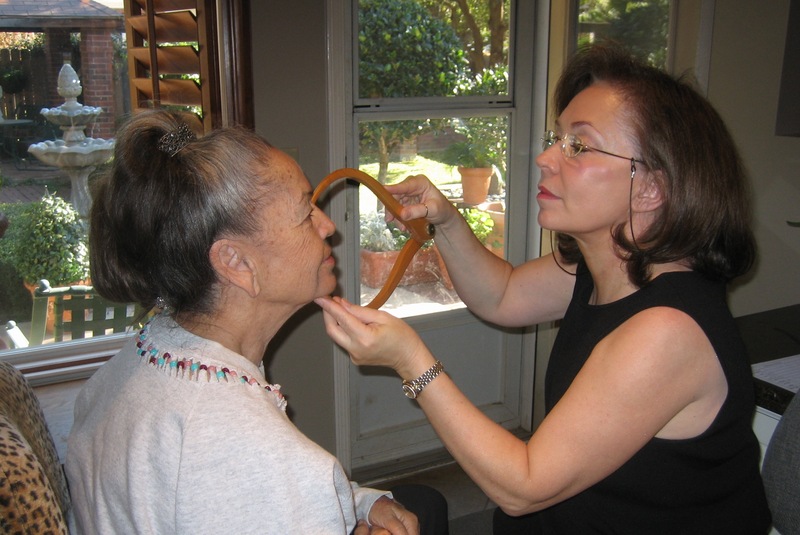 An Oklahoma native of Choctaw heritage, Barbara spent years as a professional dance instructor. She has devoted five decades of dedicated service to the Order of the Eastern Star. From 2006-2009, she served as Most Worthy Grand Matron. In that role, she travelled many miles and enjoyed meeting people all over the world. During her tenure, she visited 16 countries, 10 Canadian Provinces, all 50 United States and 2 U.S. Possessions. The commission for the portrait, commemorative of her Eastern Star service, came from her husband Tom Benton who is the nephew of famed American artist Thomas Hart Benton. It is easy to see the strong family resemblance between uncle and nephew. Tom Benton and me in front of images of his late uncle. The upper center one is the well-known 1922 “Self Portrait with Rita” from the National Portrait Gallery, Smithsonian Institution in Washington, D.C.
A special aspect of this project was that Barbara and I first became acquainted through our mutual friend, Betty Pat. Gatliff. Barbara and Betty Pat. were college roommates at the Oklahoma College for Women in Chickasha and have remained close ever since. Several issues had to be worked out during the planning stages of the portrait. Barbara has amazing knee-length hair reflective of her Native American heritage. However, she normally wears it in an elaborately twisted style of bun. Her husband wanted the sculpture to be done with her hair down while wearing her Native American deer skin costume, headband and jewelry. Barbara felt that more people who knew her would expect to see her characteristic day to day bun hairstyle. Another consideration was the fact that Barbara is well known for her beautiful presentations of the Lord’s Prayer in Choctaw sign language, which she has performed all over the world. I suggested a solution that might appeal to everyone. We decided to create the bust itself with an up-do hairstyle, but also add four panels around the base to show Barbara in Native attire and hairstyle. Each of the four bas relief panels around the base depict one on the postures from Barbara’s rendition of the Lord’s Prayer. Barbara travels extensively and has a constantly busy schedule. I was fortunate to have two sittings with her for a total of only a few hours. I was able to supplement those sittings with photographs to complete the sculpted bust. Belmont Mansion in Washington, D.C. The completed bust was cast in bronze and is now placed at the International Headquarters of the Order of the Eastern Star, General Grand Chapter in Washington, D.C. 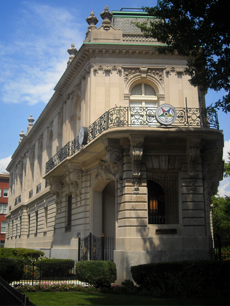 I had the privilege of visiting and staying as a guest at the amazing headquarters building on New Hampshire Avenue NW in the Embassy Row area. Formerly the Perry Belmont Mansion, the building was constructed between 1906-1909. I am so delighted that my work is now a part of the estate. In the portrait, I opted to give Barbara an expression of contemplative dignity yet tried to hint at the grin that is always very close to the surface. Her calm spiritual nature always shows in her face, as does her sense of fun. I’m told that the expression changes as you walk around the piece…which I hope is true. The forms of the earrings are meant to echo the shoulder forms and they are curved to better integrate them with the sculpture overall. I chose to make her hair clip in the form of an eagle feather, a sacred symbol in her tribal heritage. A particular surprise for me came when this portrait was chosen for an online exhibition by the National Sculpture Society, a first for me. Having this piece displayed in conjunction with artists whose work I have admired for years was an incredible honor for me.